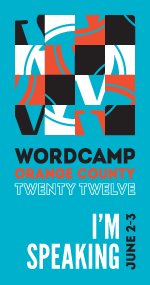 I’m speaking at WordCamp Orange County 2012 today about WordPress’ core HTTP APIs and WordPress.com’s REST API. This post has a bunch of links and examples for the attendees to reference later. Click the “Pages” links below to find everything. This entry was posted in Automattic, WordPress. Bookmark the permalink.